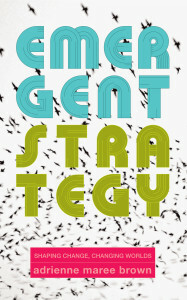 Emergent Strategy: Shaping Change, Changing Worlds is out in the world! i downloaded it and read it on my phone. it’s been an incredible journey to this place and i’m enjoying the letting go, letting what i wrote and gathered just be in the world. here’s everything there is to know about the book – where to get it, what kind of events are happening and the potential tour stops and how to book something. the book has lineage, principles, elements, interviews, spells, practices, and tools to put in use. 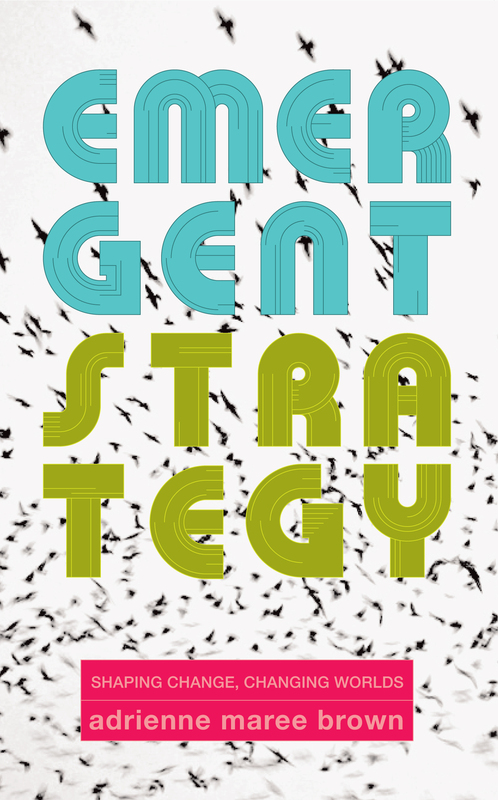 in the journey of the book i reached out to a lot of people to help me see the ways nature has shaped their organizing and their practice of emergent strategy. shorter responses are sprinkled throughout the book, but i also wanted to share these pieces, many of which are longer, nuanced explorations or conversations. so these are also up, as well as appendix materials and links referenced throughout the book. my intention now is that you all use the book in whatever ways it serves. Author AdriennePosted on March 29, 2017 March 28, 2017 Categories UncategorizedTags appendix, book, emergent strategy, tour1 Comment on book in the world! through my absence when support was needed. through my forgetting them in spaces where they needed inclusion and/or centering. and through my fumbling love. i wish i could say each of these lessons took me hours to learn, but some of it has taken days, weeks, years – sometimes i never made it back to thank the teachers of specific lessons, especially the ones that were hard. and i am still unlearning. and i am still grateful. it’s a gift when someone speaks their truth and you can see where they can grow and move in with love. it’s a gift when you speak your own truth and others move in with love to show you where you can grow. don’t forget that we learn to move by falling down a million times. don’t forget you were taught most of the things you now believe and teach others. don’t dispose of each other – turn and face the conversations we still need to have. p.s. be as gracious and rigorous as your mentors were/are. be an invitation. offer others the same compassion you need when you’re wrong.